With thanks to Andrew Monkhouse for providing the scan. 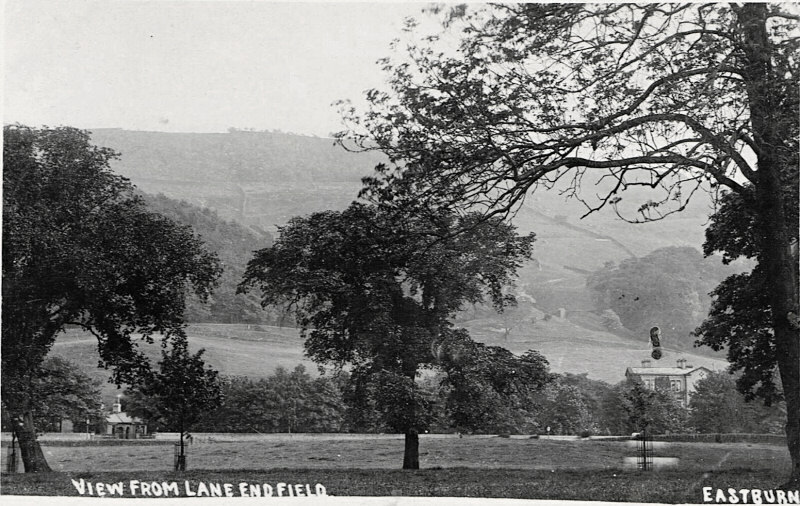 Taken from a view point in Eastburn, the building on the left with the smoking chimney is Springfield Lodge. The building to the right is the stable block and groom's quarters, Springfield House is hidden behind the trees in the centre.